New. 0812511816 BRAND NEW, GIFT QUALITY! NOT OVERSTOCKS OR MARKED UP REMAINDERS! DIRECT FROM THE PUBLISHER! |0.85. Fantasy, romance, action, intrigue and power. This series has it all! The hardest part is making it through the first book. After that you will be dying to get your hands on the next one. With the number of characters that you are introduced to it is understandable that this first book of the series isn't as gripping as the rest. However, by the end you will be on the edge of your seat wanting to know more. Stick with it. The series is amazing, it will have you thinking, what more could possibly happen? And you won't be disappointed! If you have a wild imagination and loving being drawn into the fanasty world, you won't want to miss a single book! 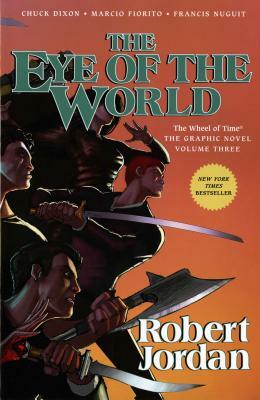 This is the first book of a great series. Moiraine Damodred, an Aes Sedai, and her Warder, al?Lan Mandragoran, take the main character: Rand al?Thor and his two friends, Matrim Cauthon and Perrin Aybara out of their village just in time before it is destroyed. From there, they are chased and hounded by the forces of evil for reasons only Moiraine knows. From a simple start to an amazing end, this book will make you want more. As luck will have it there is more.